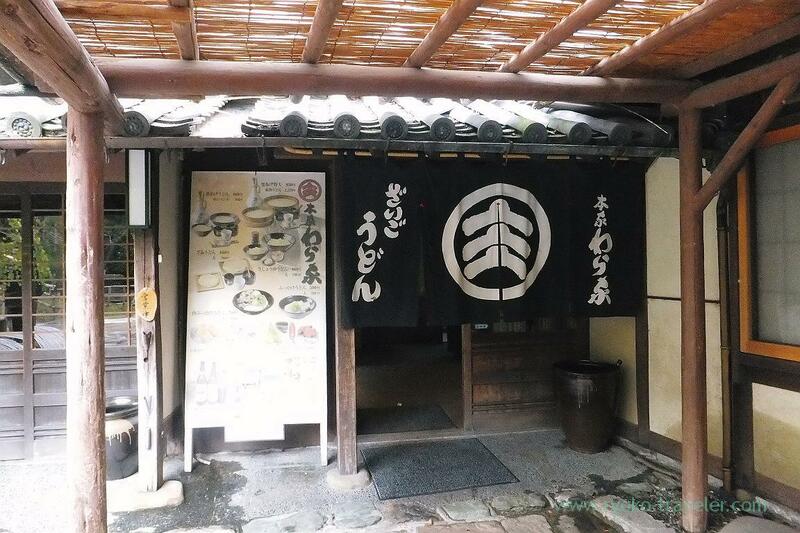 Sanuki udon in an old house. 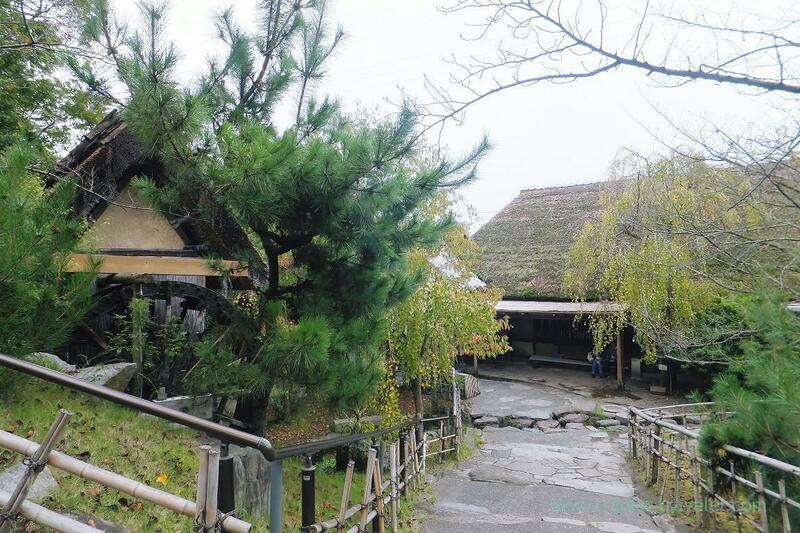 After we took a walk around Ritsurin garden for one hour, we got on the bus again for next udon shop. 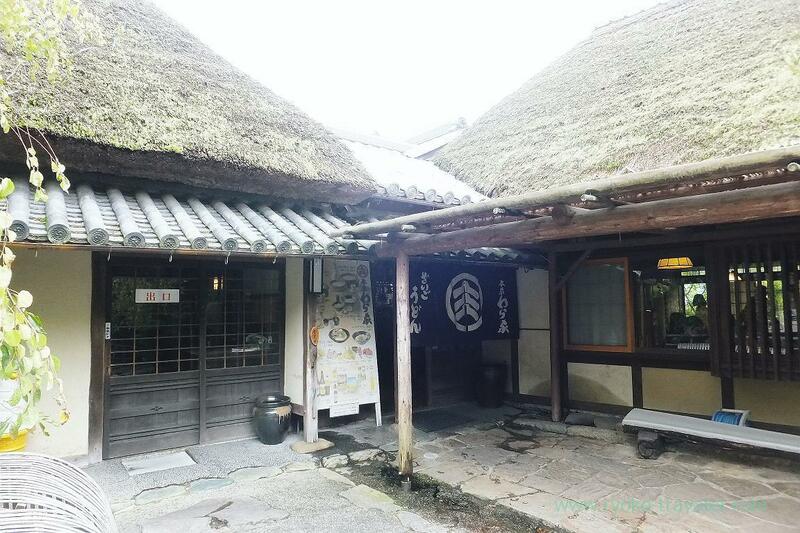 I like such an old Japanese house ! This shop is so large. The space for buying souvenir is large, too. There is a ticket window at left inside the entrance. There’s not a ticket vending machine. The staff sell tickets. After we bought tickets, we were seated where we liked and then handed tickets to the waitress. 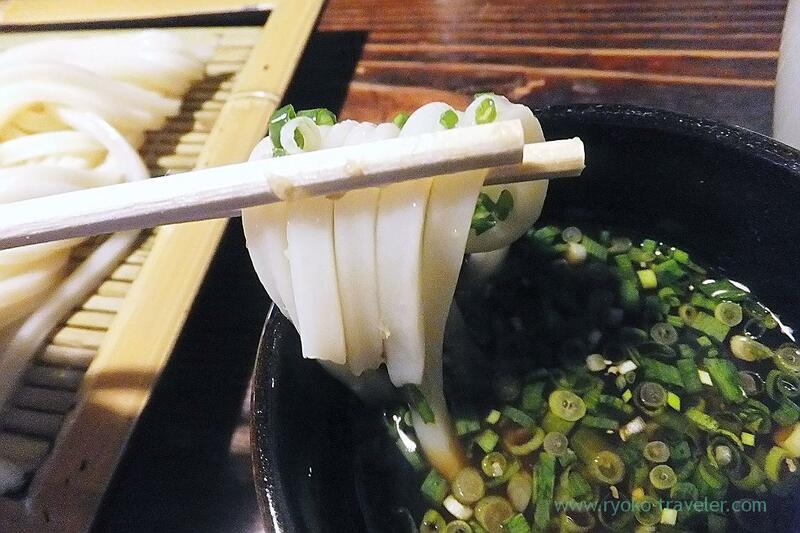 This shop’s best popular udon is kamaage udon. When we were there, perhaps almost 70% of people there ordered it. 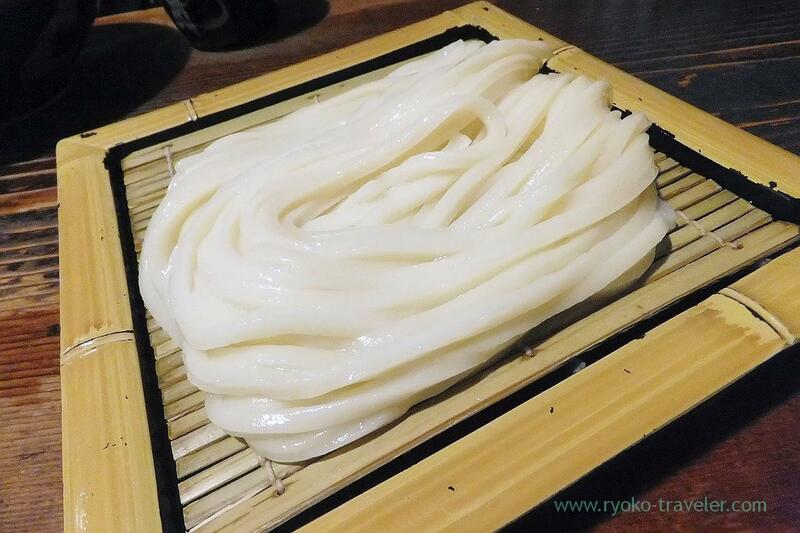 Kamaage udon takes much time to be boiled. 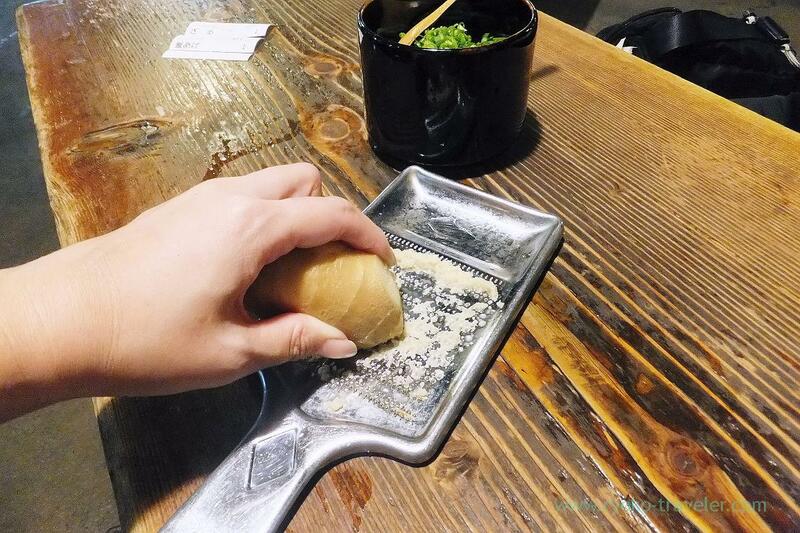 At this shop, the waitress hand visitors ginger and graters. So, we grated ginger while waiting. As its high reputation, this udon is very good.It had springy texture and also had toughness. 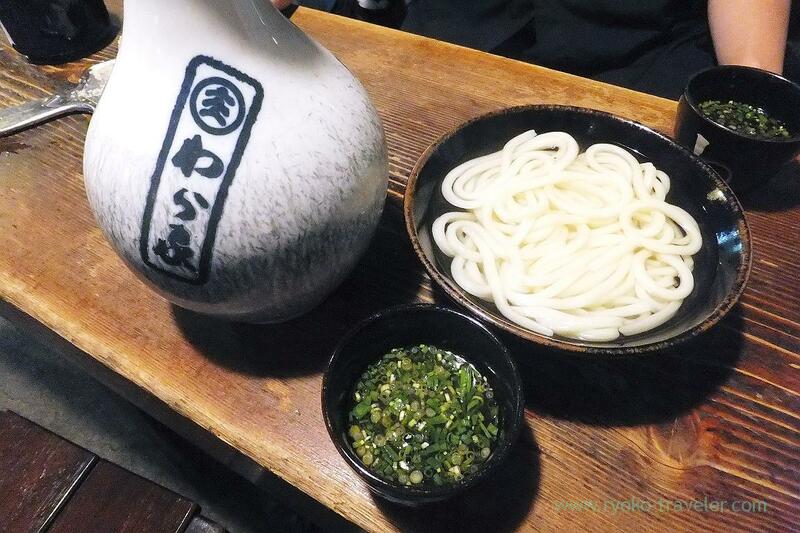 And then my zaru udon (ざるうどん, 460 yen) was served, too. Once it is put into cold water and then drained off well. This udon was more firmer than kamaage udon. And more springy.